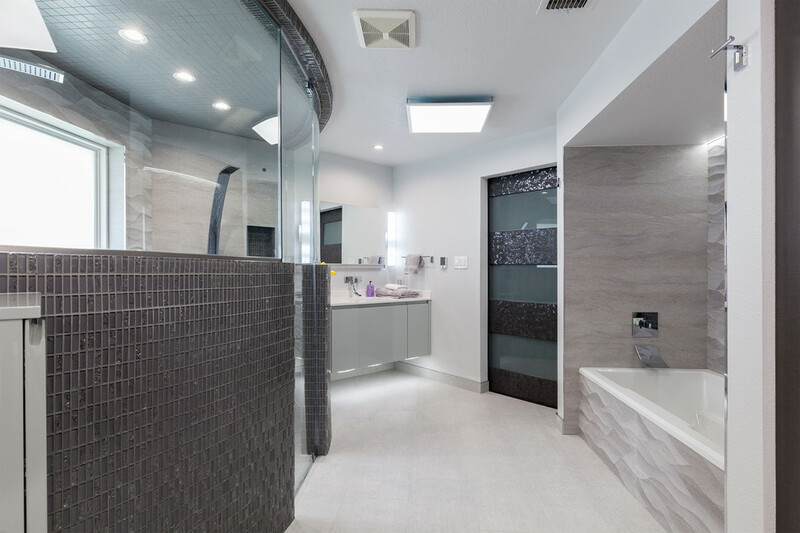 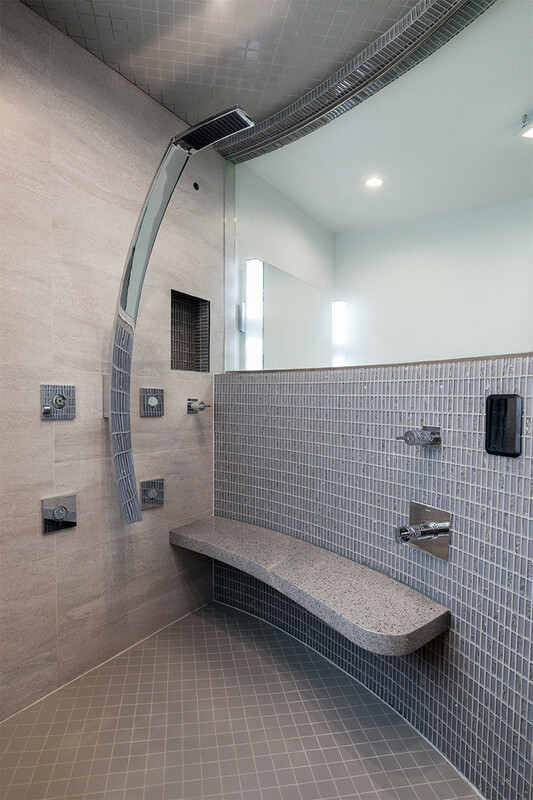 This round steam shower is decked out with high end plumbing features. 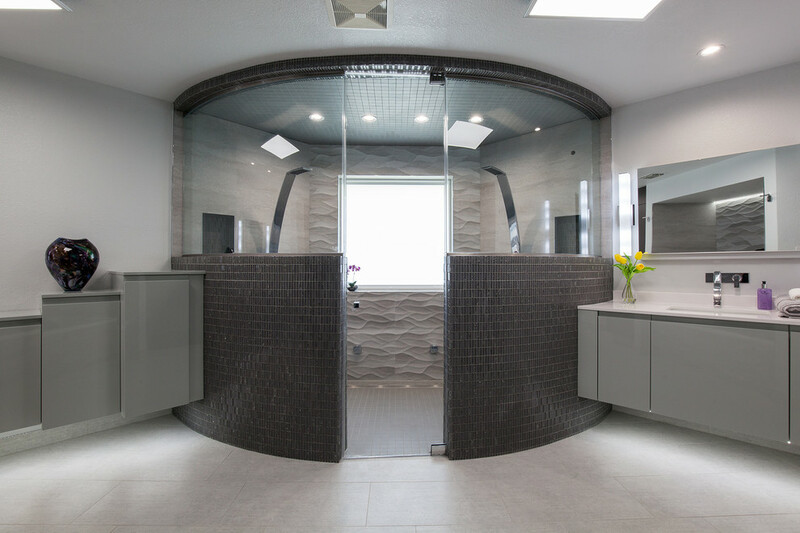 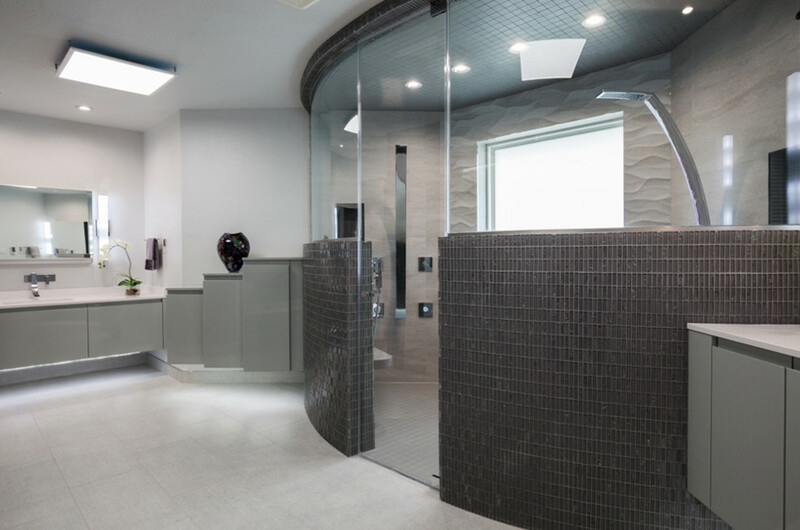 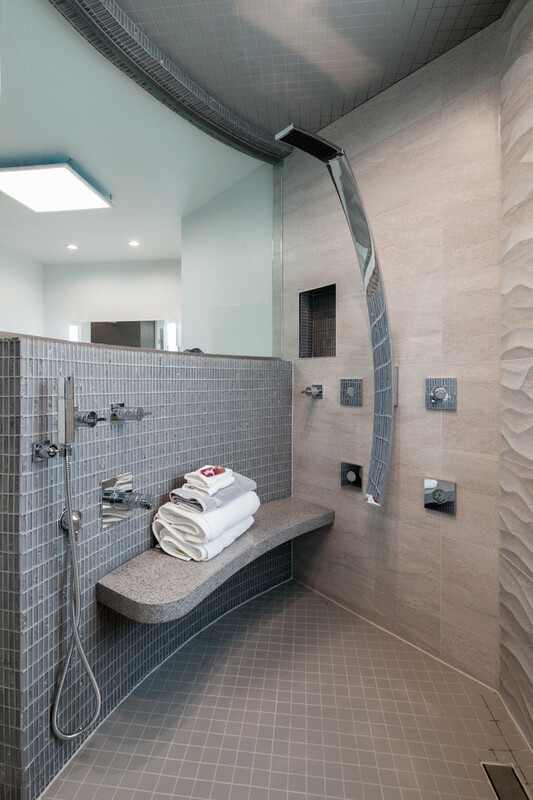 Graff shower features and bent glass is so luxurious! 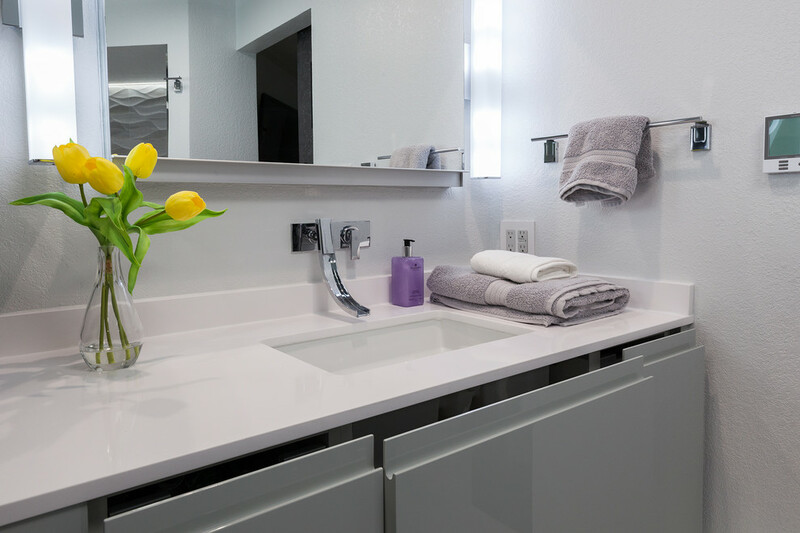 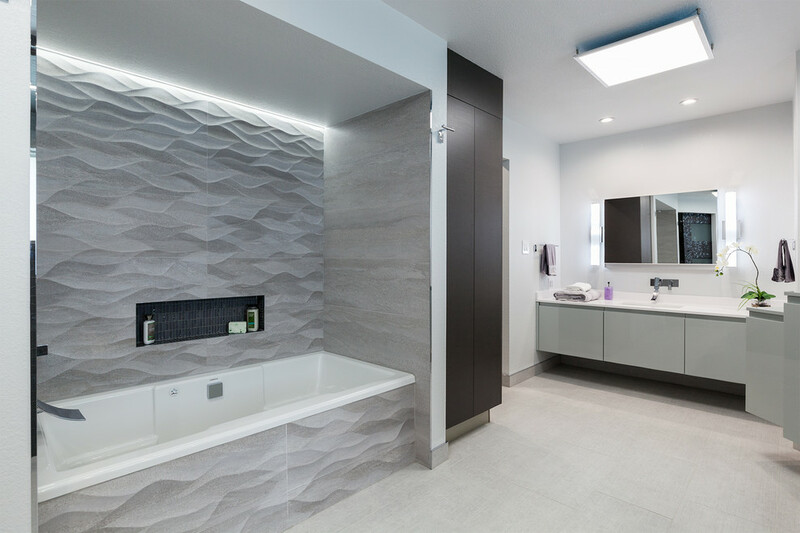 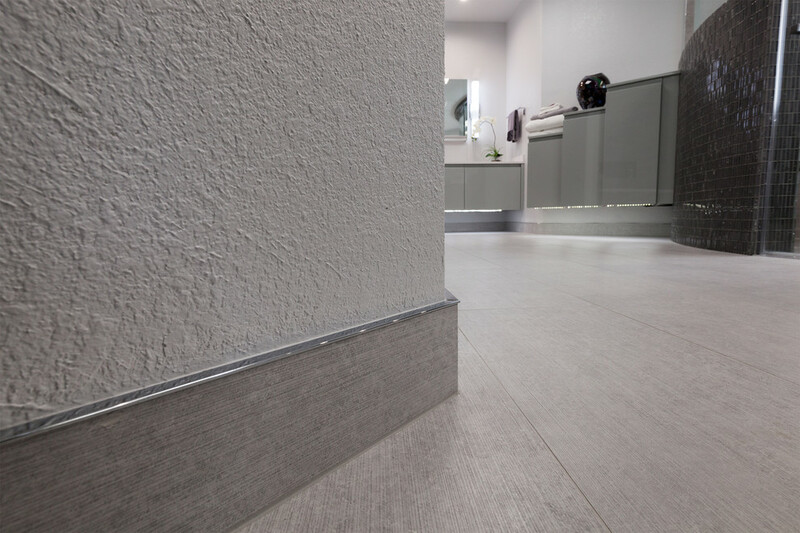 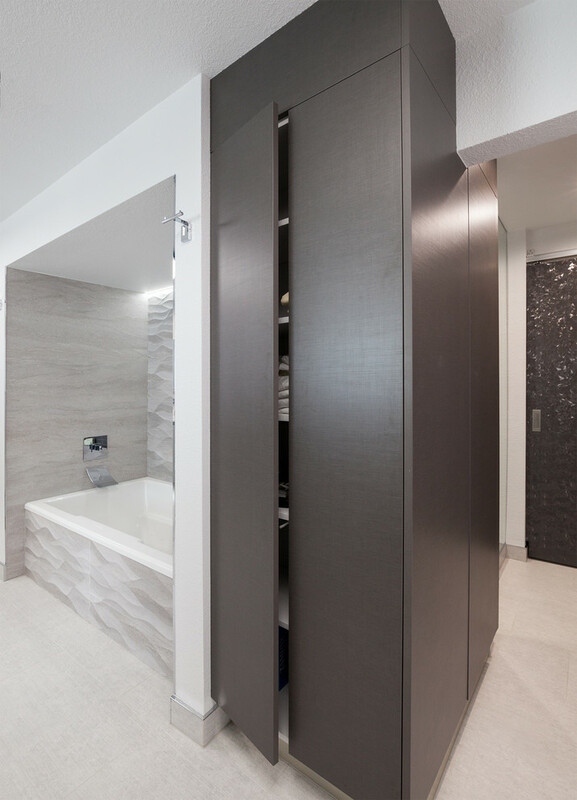 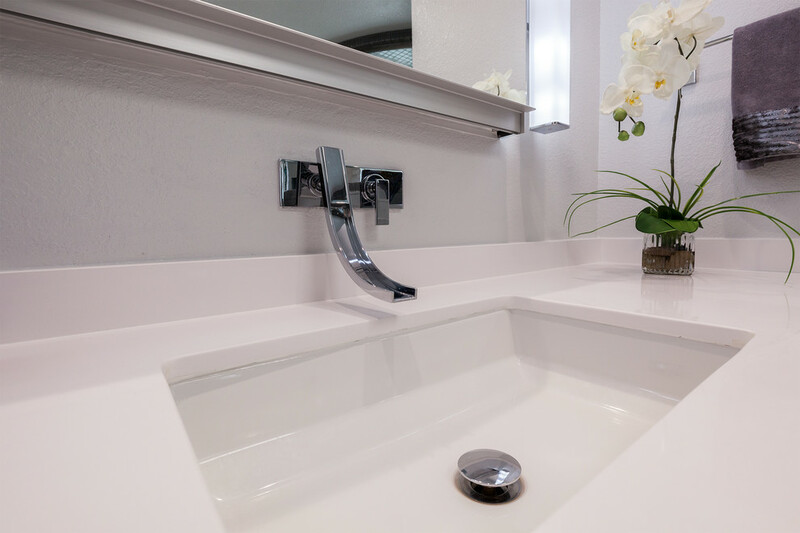 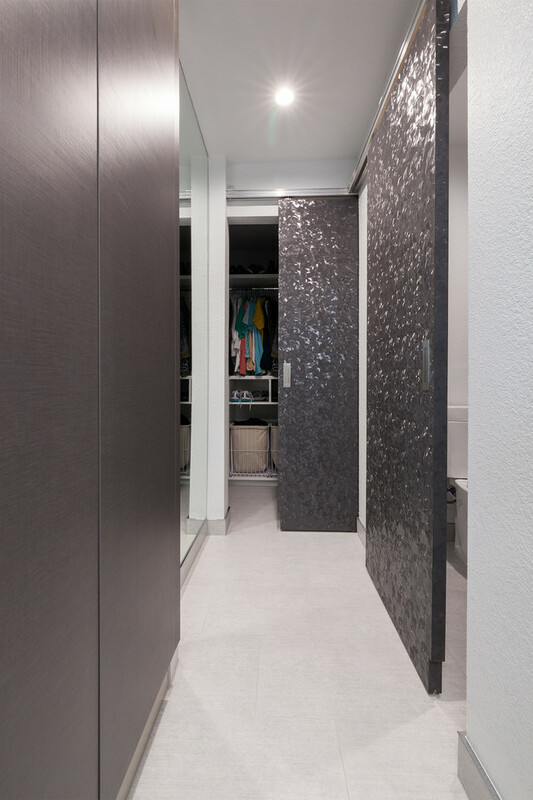 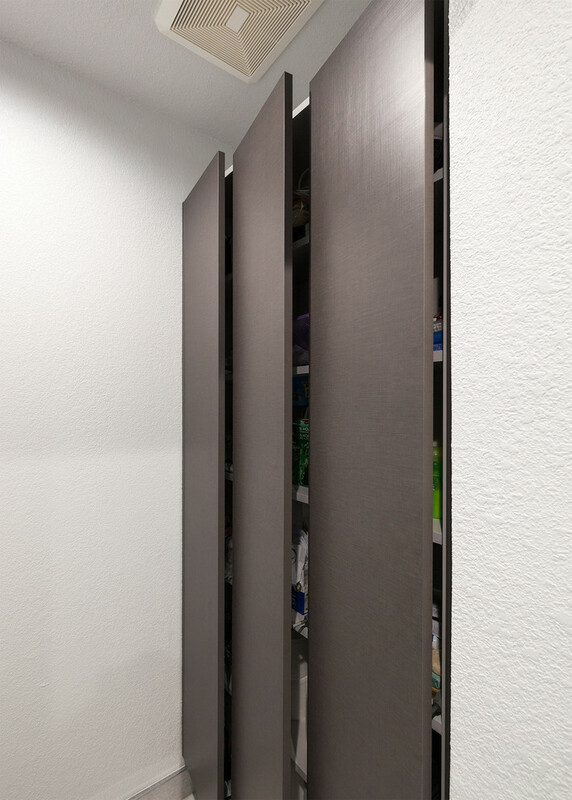 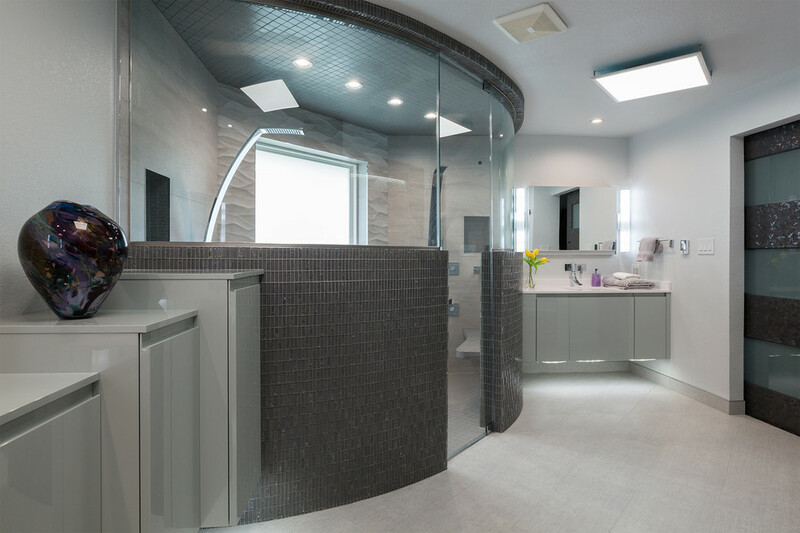 High gloss lacquered paint in soft hues of gray green offer every spa like luxury including soaking tub, accent lighting, custom walk in closet.